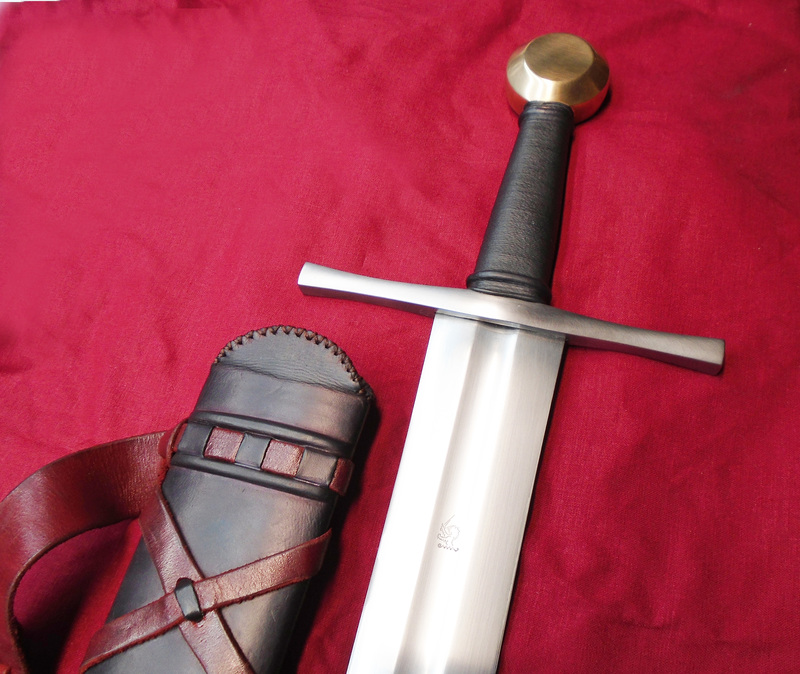 This sword (an Oakeshott Type XII) is inspired by a splendid piece in the St. Annen Museum in Lübeck, Germany. This sword is featured in the book, The Sword — Form and Thought published by the Deutsches Klingen Museum in Solingen, Germany. It contains the research of Swedish swordmaker, Peter Johnsson, for the 2015-2016 exhibit of the same name. 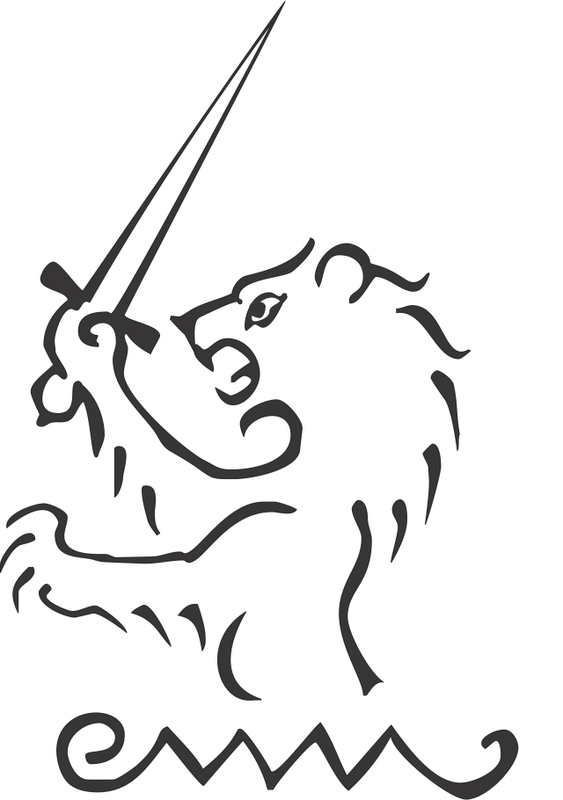 The goal of this project was to further familiarize myself with Peter’s research into the geometry of sword design. This sword was an ideal candidate for learning: it is highly corroded, but clearly, it once was a stunning piece. Because of the corrosion, the final dimensions are unclear, so this leaves room for multiple interpretations. I didn’t want to simply recreate Peter’s research on this sword. I wanted to utilize his geometric strategies to make another interpretation of what this sword may have looked like. This is a sword for a mounted knight. It has a long blade for an extended reach. In addition, the bronze pommel is weighted to give the blade a lively feel in spite of the blade length. This sword would have made an impression on the battlefield. Hilt Material: Bronze pommel and iron guard. Grip is a wood core with a linen thread wrap and a leather cover. The grip color is “abbey black.” Abbey black is a color that I prototyped with Emma Martinson at Albion Swords. Because black dye was not always available, monk robes were often over dyed blue (woad) to make a midnight blue, then red (madder) was dyed over the top of it to kill the blue tint. The result is a black that has a slight red tint in bright sunlight, but looks black when in the shade. Due to the two step dye process, you get a black appearance and not dark purple. It is an interesting twist to the regular black dye. Scabbard: Hand carved basswood core. Leather cover dyed “abbey black.” Red leather belt with forged iron buckle. Forged iron chape with Fleur-de-lis file work. I want to thank Peter for his help with the numerous questions that came up during the design process. Posted in Gallery, News, Past Work.